Paskal, the Easter Bunny, wakes up to this shocking news. It’s even more shocking because the defeated hare making the news headlines is his very own cousin. “Goodness me! How can this be?! I need to save my cousin’s reputation,” he said. And so Paskal issues a challenge – which the still-recovering tortoise immediately takes up. “On one condition though, since I have to carry my house on my back, you have to carry an Easter egg on yours,” said the tortoise. “Whatever,” replied Paskal who impatiently, simply wanted to get on with it, to win the race and restore his cousin’s honour. This inability to take his time comes back to bite Paskal and in a fun reworking of the classic Aesop fable, we see how slow and steady – no matter what – always wins the day. Paskal’s adventure is perfect to tackle the issue of instant gratification with young children. The moral is subtle and children will automatically laugh at Paskal’s antics and realise that the tortoise’s patient perseverance is more rewarding in the end. 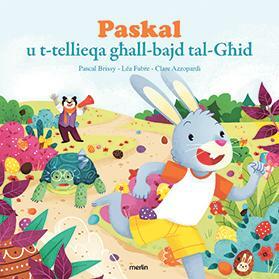 With lots of Easter eggs hidden in the book’s illustration, Paskal u t-tellieqa għall-bajd tal-Għid also makes for a very engaging Easter egg hunt. 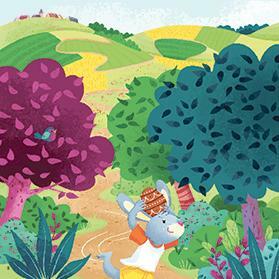 Written by French author Pascal Brissy and illustrated by Léa Fabre, the book has been adapted to Maltese by award-winning author Clare Azzopardi. It has no fixed target age and is ideal for reading to children when still very young, to nurture a love of reading. The book can be eventually read by the children themselves when they are slightly older, from age seven onwards and can be the ideal platform for parents and teachers to discuss the underlying patience-is-a-virtue theme of the book – something that does not always come natural to young children.